When it comes to income investing, it’s all too easy to fall into the trap of forgoing growth in pursuit of juicy dividends. It’s a major problem when investing in U.S. stocks in particular, but internationally, investors can have their cake and eat it, too: There is no reason why you cannot have both income and growth. Buying shares for income has traditionally entailed investing in sectors that economically aren’t going anywhere. U.S.-focused investors find themselves owning railroads, trucking companies and electric utilities, not the most exciting of sectors, and most unlikely to grow your investment as a percentage of the global economy. Even in those so-called “tried and true” sectors, in the modern U.S. economy of huge payouts, stock options and multi-millionaire management, you aren’t likely to get the dividends you deserve. For example, the railroad company CSX Corp. (CSX) yields 1.5%, trucking company J.B. Hunt Transport Services Inc. (JBHT) yields 1.0% and even electric utility American Electric Power Co. Inc. (AEP) yields a modest 4.3%. All three companies pay out less than half their earnings. The remainder is retained in the company, or used for share buy-backs, to provide capital gains for top management’s greedy stock options. If you can’t get decent dividends from investing in these admirable operations, dividend investing in the United States is a lost cause. But internationally, income investment is a horse of a different color. First, international firms don’t follow the Wall Street model of huge salaries, generous stock options and seven-figure bonuses. Less money earmarked for executive compensation means more cash in investors’ pockets. And that’s a good thing, because international investors have a natural cynicism about retained earnings, believing that money that stays with the company is just management’s to waste. It’s much better to have the excess cash paid out in dividends, to do with, as you like. Second, foreign markets are growing much faster than the United States. If the local economy is growing at 7% to 10%, even the railroads and electric utilities will grow at a similar pace, providing an increasing stream of profits. Third, you don’t need to confine yourself to companies growing at the speed of an arthritic snail to get good dividends or sacrifice the capital gains that come from investing in sectors that provide the world’s new ideas, intellectual growth and economic advance. Unlike the technology firms in the United States, some international companies in growth sectors don’t feel they have a God-given right to keep ALL the earnings under management’s control. Instead, they pay out dividends to shareholders. The international appeal of dividends makes more sense when you remember that many of these companies are still controlled by the founders or their immediate heirs. Large dividends on their holdings are understandably attractive to these rich founding families. A substantial dividend that they can live on. And the chance of capital gains in the future as the company expands. It’s almost like U.S. investing in the halcyon days of 1949, when the Dow Jones Index had a Price-Earnings (P/E) ratio of 7% and a 6.9% yield (U.S. Treasuries yielded less than 3% at that time). And while we can’t go back in time, by investing internationally and picking carefully, we can get some of the advantages of an investor in 1949. And even possibly do as well as that investor did during the subsequent decade of Eisenhower growth and stock price rises. Administradora de Fondos de Pensiones Provida SA (ADR: PVD), commonly known as Provida, is the funds manager of the privatized Chilean social security funds, a business it has diversified to hold investments in fund administrators in Peru, Ecuador, Mexico and the Dominican Republic. Majority owned by the Spanish bank Banco Bilbao Vizcaya Argentaria with a P/E ratio at 9 times trailing earnings, and a dividend yield of 7.6%, this stock is especially juicy for income investors. Growth will likely come from increases in assets under management, as Chile becomes richer and some expansion of the Chilean pension fund model to other countries. Acer (Taiwan) (London Stock Exchange: ACID) is the world’s third largest manufacturer of personal computers, with top technological innovation in Taiwan and the ability to manufacture in the cheap-labor rural China. P/E ratio 12 and a dividend yield of 5.6%, plus you get to participate in the growth of the PC industry. Eni SPA (ADR: E) is Italy’s entry in the “Big Oil” stakes. Because of Italy’s neutral foreign policy posture, it has the advantage of being able to operate in countries like Kazakhstan, Libya and Venezuela where U.S. companies have difficulty. 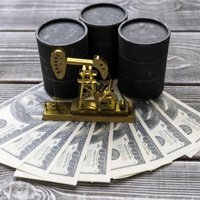 At a price-earnings ratio of only 6.7 with a dividend yield of 6.6%, it currently offers excellent value with chances for growth if oil prices stay high and new oil sources remain attractive. [Editor’s Note: When it comes to global income issues, Money Morning Contributing Editor Martin Hutchinson knows his stuff. An investment banker with more than 25 years’ experience, Hutchinson has worked on both Wall Street and Fleet Street and is a leading expert on the international financial markets. In February 2000, as an advisor to the Republic of Macedonia, Hutchinson figured out how to restore the life savings of 800,000 Macedonians, who had been stripped of nearly $1 billion by the breakup of Yugoslavia – and then the Kosovo War. Hutchinson’s “Insights on Income” column is a regular feature in Money Morning].